Update, 06/04/2012: Start8 as well as ViStart are still working on Windows 8 Release Preview, build 8400. Probably one of the most annoying things Windows 8 has brought is the removal of the Start button in the bottom left corner - when you now press the Windows key, you are brought right back to the Metro UI. Being the main menu in Windows for many versions, many will have problems to get accustomed to its lack and the new ways of navigating Windows and it might also have greater impact in businesses. Since the day after the release date of Windows 8 people have been busy scripting third-party solutions to restore the missing menu button and a few good results are already available on the internet. 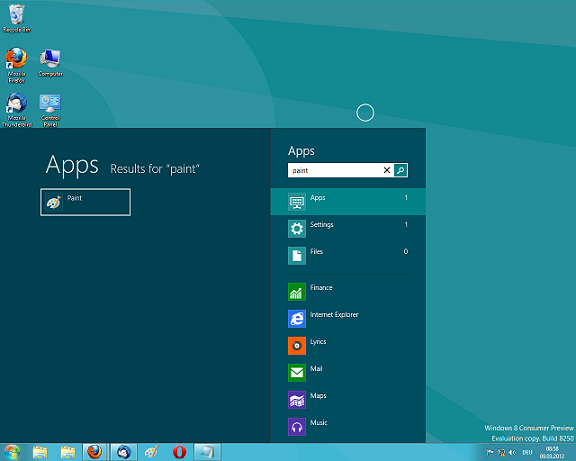 Start8 represents a Start menu in the new Metro UI style and therefore replaces the Metro screen completely. It is possible to call it with the Windows key and it also contains a search bar just like the Windows 7 menu that is able to search all your installed apps for the keyword you enter. Since it still is a new piece of Software it contains some bugs just like Windows 8 itself. Upon right-clicking an app from the app menu to select it, the right part of the menu fades out - but does not fade in again after deselecting the item. Furthermore, the tiles in the bottom right pane of the menu are unclickable - this is not a great problem though because they all are present in the main pane as well. If such a menu is suitable for you depends on you. I find it a bit unpractical since you don't really need the large app list (you cannot scroll through it with the mouse wheel either) but only use the search function. 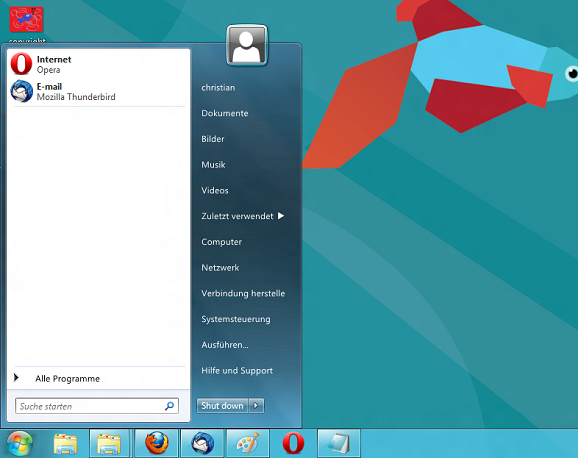 ViStart was originally developed to serve as Vista styled Start menu for Windows XP, but was adjusted to be compatible to Windows 8 after the Consumer Preview release. It looks nearly as the original Vista menu and works almost the same. Other than Start8 it does not disable the Metro interface so you may rather use the Windows key to open it than to hover your mouse over the bottom left corner. Care during install: the installer asks for permission to install other software that you definitely won't need, so read carefully and decline all agreements on extra software. If you would like to customize your Start orb, Lee-Soft also provides alternative skins and more on their website.